„Your painting has to make the spectator believe that he/she is able to walk around the painted tree.” – said the famous French painter Théodore Rousseau. In other words, a picture must be so fascinating that you almost immerse into the world it depicts. The works of Italian painter Ugo Matania (1888 – 1979) suit this requirement. On the one hand, his talent was inherited, because some of his relatives were acclaimed artists. Ugo’s cousin, Fortunino Matania (16 April 1881 – 8 February 1963) learned to draw in the workshop of his father and became an illustrator for well-known magazines . He was famous for his realistic wartime illustrations. During the war he worked almost exclusively for the British magazine The Sphere, but his drawings were sold to many other newspapers as well. He visited the front several times and talked with soldiers. His war paintings were rich in details and their theme was often romantic or heroic. At first sight these illustrations can easily be mistaken for photographs. After the war he contributed for the British woman’s magazine, Britannia and Eve for 19 years. Tullia Matania was the daughter of Ugo, she worked as a painter and sculptor. She contributed to the following magazines: Il Mattino Illustrato, Domenica del corriere, Corriere dei Piccoli. On the other hand, Ugo was an eager student and he truly enjoyed his profession. His joy and individuality radiates through his pictures. The most famous British detective, Sherlock Holmes loves his own job too. 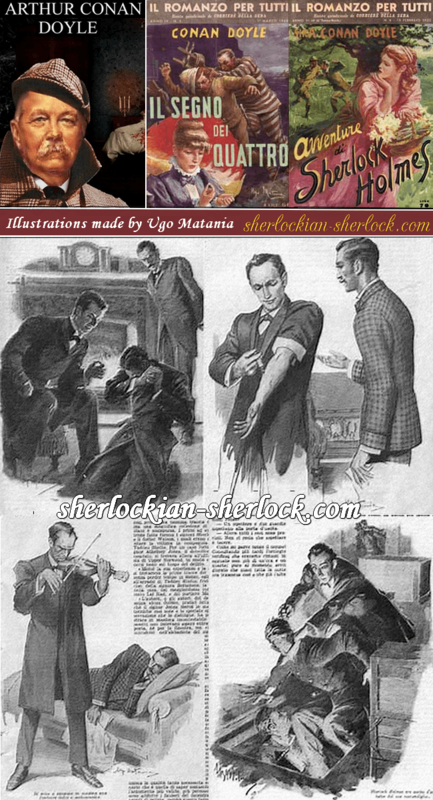 Between 1913 and 1924 Matania lived and worked in London, the hometown of the legendary sleuth. He made illustrations for magazines like The Sphere and the London Magazine among many other newspapers. He could experience and feel the mood of the city and he could even read the exciting mysteries of Doyle’s hero. 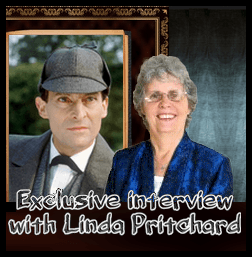 No wonder that when he made illustrations for the Holmes adventures appearing in Il Romanzo Per Tutti, the world of Baker Street and its most famous tenant comes to life with picturesque beauty. We, the creators of the website are proud of the fact that we are Hungarians. We respect all works of Conan Doyle, and we have to note that Il Romanzo Per Tutti (1945 – 1950) published several of his writings. The magazine also popularized the works of a number of famous Hungarian writers (Kálmán Mikszáth, Ferenc Herczeg or Kálmán Csathó). Now we gladly show the magazine covers and the beautiful artworks of Ugo Matania.